This program collects and returns inkjet, toner cartridges, toner bottles and other imaging consumables from printers, fax machines and photocopiers for reprocessing and recycling. Please keep all packaging out of the cartridge collection box. Cosmetics packaging such as used lipstick and lip gloss, mascara, eye shadow, bronzer, foundation, eyeliner, eye shadow, lip liner, and concealer packaging. Hair care packaging such as used shampoo and conditioner small bottles and all caps, hair gel tubes and caps, hair spray and hair treatment packaging. Skin care packaging such as lip balm, face moisturiser, face and body wash soap dispensers and tubes, body and hand lotion dispensers and tubes and shaving foam packaging. This program collects empty toothpaste tubes and caps, plastic toothpaste and toothbrush packaging, plastic toothbrushes and floss containers. Please keep all bamboo toothbrushes out of the oral care collection box. This program collects all mobile phones and chargers. Data is removed and then they are donated to a local women’s shelter for reuse. Those that aren’t able to be reused or where data is unable to be removed are sent to Mobile Muster for recycling. This program collects and returns all brands of contact lenses and all brands of contact lens blister packs. Please keep all cardboard packaging out of the contact lens collection box. This program collects and returns to Australia Post for reuse all pre-paid mail satchels and padded satchels. Please recycle all cardboard envelopes through your yellow top kerbside recycling bin. 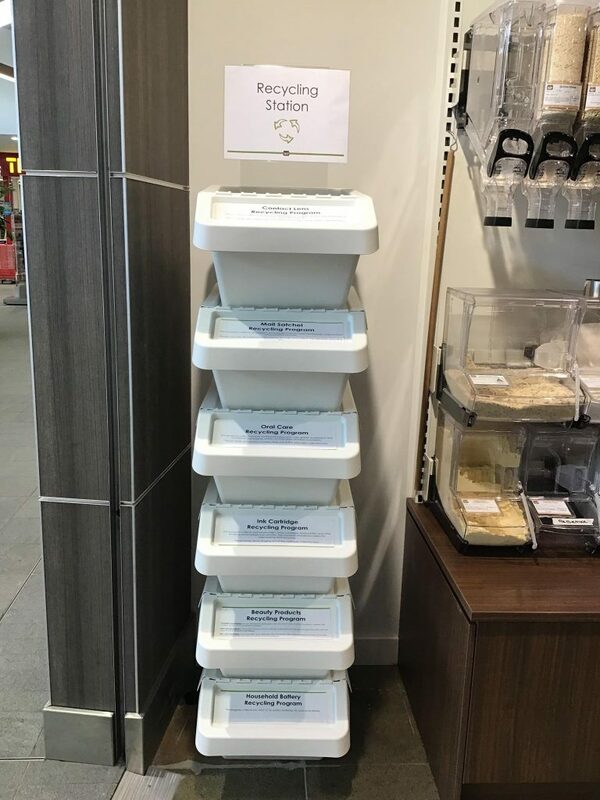 There are a bunch of other specialist recycling collection options available in selected areas, check out the www.recycleright.wa.gov.au website for more ideas!